In today’s marketplace, what sets the winners apart from the also-rans? Virtually all of them have developed top-notch, user-friendly digital strategies. If you have clear digital channels, you will make buying choices easier for your customers, which in turn, will result in increased sales. Time, time, time. In this revved-up world we live in, people never seem to have enough of it, and they value clarity and efficiency when they’re looking for something they want to buy. Whether it’s a product or a service, they expect they will quickly find what they’re looking for. Otherwise, they will look elsewhere. You don’t want that to happen with your wares. Digital technology entered the business world more than 20 years ago, but enterprises still wrestle with making the best use of it. Not to try, however, is fool hardy. According to an article in the Harvard Business Review, on average, digital competition has wiped away half the annual revenue growth and one third of the growth in earnings from companies that have failed to embrace current digital strategies. The article goes on to say that the average return on a company’s current digital investments is below 10%. However, here’s the flip side: the top performing 10% of companies achieves revenue growth 8% higher than the industry average and a digital ROI 10 times higher than that of the bottom 10%. Obviously, the top 10% are doing something right, and the bottom 10% need help. 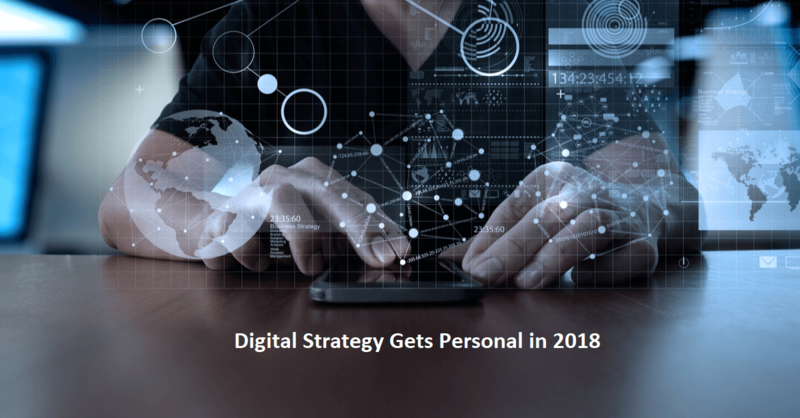 So, what’s trending in digital 2018? Develop grassroots promotions that leverage the power and cost-efficiency of social media to spread your message. Use advanced targeting techniques to better connect with your customers. Examples include behavioral targeting that relies on customers’ interests found in browser data, geo-targeting that targets customers (often via mobile device) in a specific location, and contextual targeting that places digital ads based on site content. Make use of professional live video to enhance customer engagement and solicit instant feedback about your products and services. Use social media to track your customers’ interests, buying propensities, and brand sentiment. Take a second look at your digital distribution channels. The digital world is evolving at lightning speed so be sure you’re making the most of your digital channels. These include your owned media (your websites, your blog, your social media properties), paid media (Google AdWords, display ads, paid content posts), and earned media (online visibility and publicity you’ve earned through shares, reviews, mentions, etc.). The key is to know where your customers are through every step of their purchasing journey. Some of the procedures above require expertise that you may not have. Besides you have a business to run, but here’s where Proactive Worldwide can help. Whether you’re a long-standing business or a new enterprise, PWW offers several beneficial services that will put you on the right footing. If you want to increase your sales, we suggest opting for our Digital Strategy Service, which is part of our Customer Insight Program. You’ll learn how you can jump start improvements to your digital strategy. Or you may want to realign or build a new digital footprint. Our Digital Strategy Service would also be the choice for that. The Digital Strategy Service focusses specifically on how well your online digital channel components are working for your customers. In addition, we suggest improvements that will make your customers’ digital experiences more gratifying. To determine where you currently rank on the digital-maturity spectrum, we’ll first evaluate your existing digital program. We’ll then work collaboratively with you to develop goals and appropriate solutions to build or realign your digital footprint no matter what devices your customers are using to access your site. Proactive Worldwide has assisted many organizations including Fortune 500 companies to realign and reinvest in their digital footprints and we’d be honored to do the same for you.